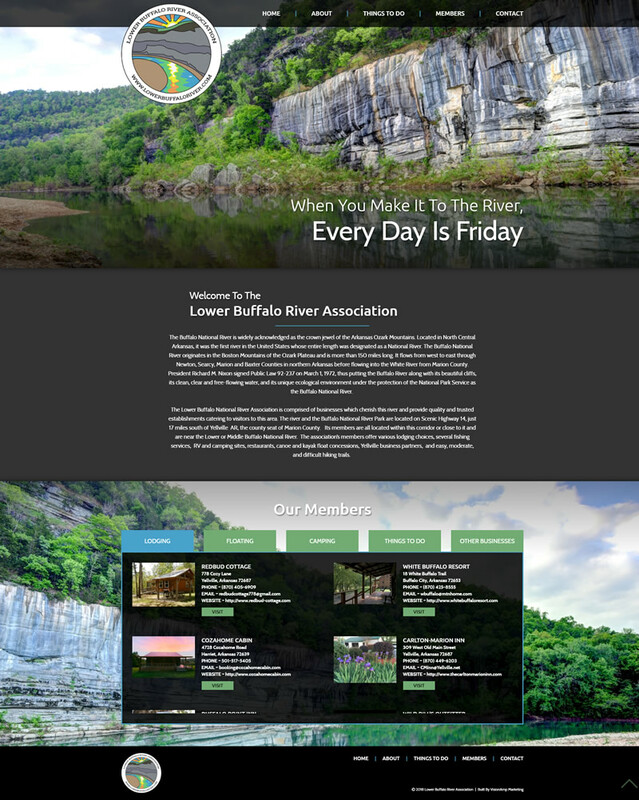 The new website for the Lower Buffalo National River Association provides visitors with a vast amount of information in a compact, responsive, and mobile-friendly website. With a clean navigation menu at the top, visitors can easily access things to do in the area, information about members, and much more. The new site is also populated with beautiful and inviting images of the area. 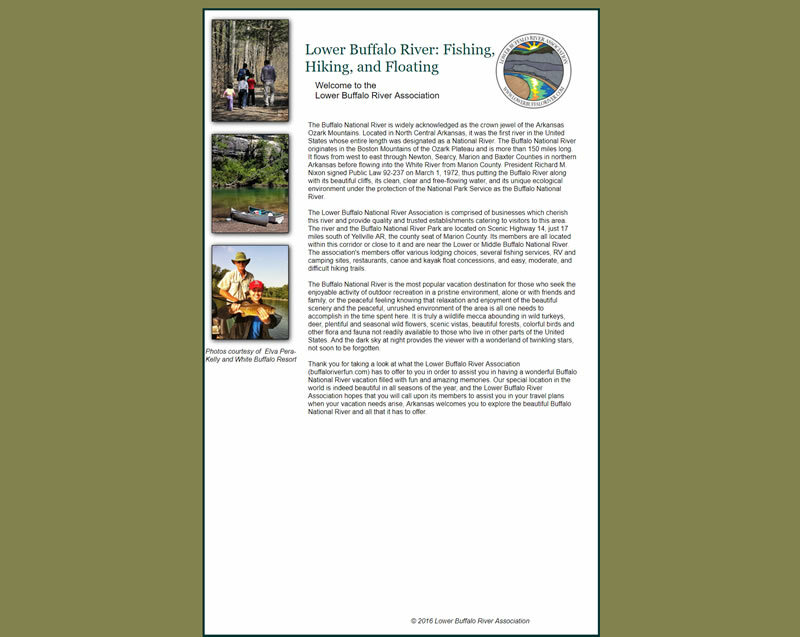 The Lower Buffalo National River Association is comprised of businesses which cherish the Buffalo National River and provide quality and trusted establishments catering to visitors to this area. The association’s members offer various lodging choices, several fishing services, RV and camping sites, restaurants, canoe and kayak float concessions, Yellville business partners, and easy, moderate, and difficult hiking trails.